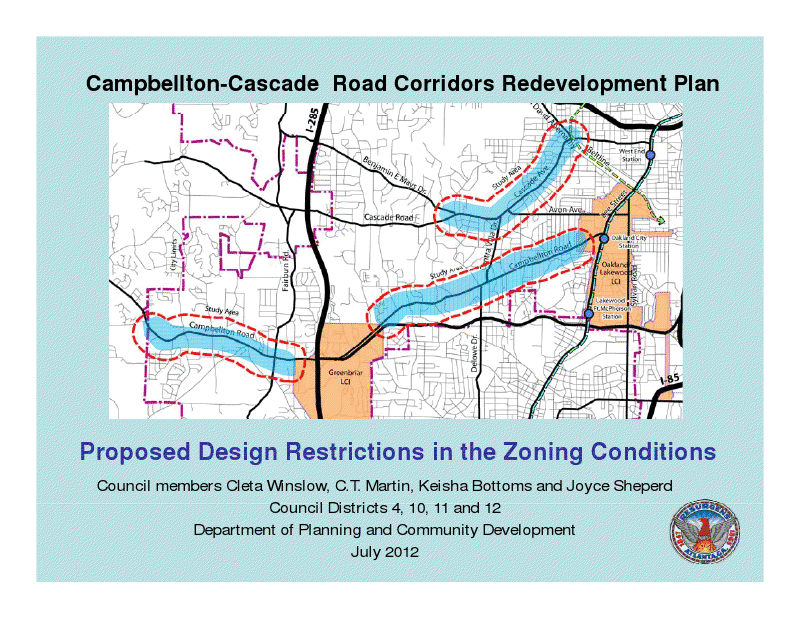 The City of Atlanta has an ambitious redevelopment plan for the Campbellton and Cascade corridors that flank NPU-S. 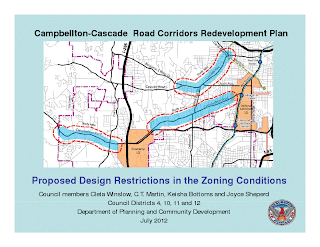 This is a fairly detailed plan, but it boils down "the transformation of both corridors from automobile-oriented corridors with isolated land uses into vibrant, pedestrian-friendly, mixed-use neighborhoods". The NPU has postponed voting on these plans until all the affected parties can be informed and folks can read the plans for themselves. The plans and assorted supporting documents can be found here. The city's explanation can be found here. We encourage all citizens of the NPU to look over the plans and come to the vote in October's NPU-S meeting.